Online shopping rules, right? But still there’s something about in-person retail therapy, trying on the clothes AND really seeing what you are buying. Good news is that you can do both AND save money by downloading the Dosh Cash app. Read on for 4 tips for saving money with DOSH in 2018! Get paid to eat, shop and travel in 2018 by downloading the DOSH app. Disclosure: This is a sponsored post on behalf of Dosh, which includes affiliate links. All opinions are my own. 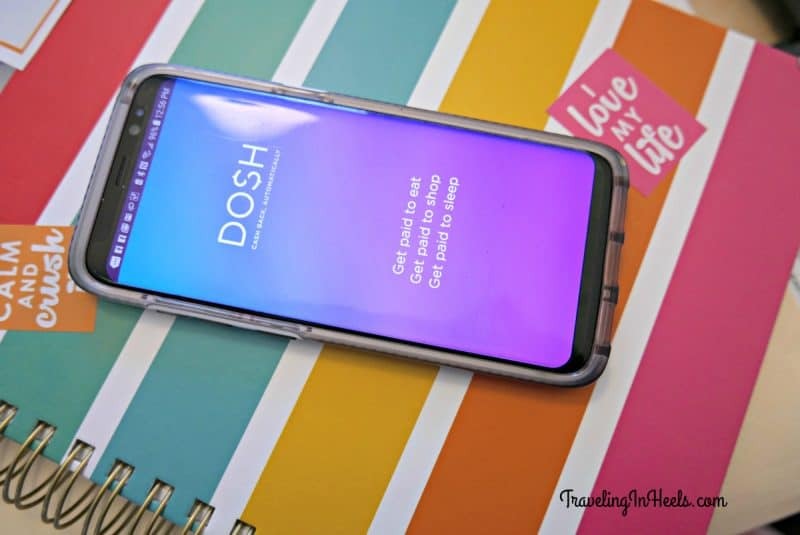 How does Dosh help you save money and earn cash back? 1. Download the Dosh App. 2. 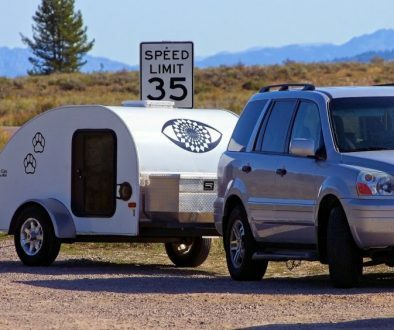 Link your credit cards. Confession: Shopping sometimes seems like a job to me. 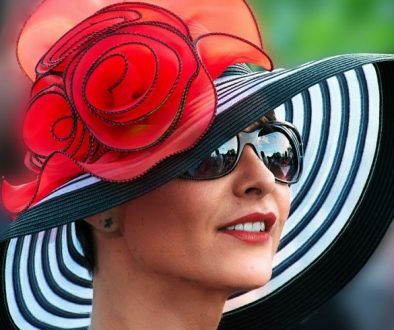 Something I’ve got to do — I mean the hubby needs food, and I need to update my wardrobe at least sometimes. But as this year rolls into next, so do those New Year resolutions, and one of mine is to save money and pay off bills. Good news is that DOSH is free to use and an easy way to get cash back on purchases that you already make. 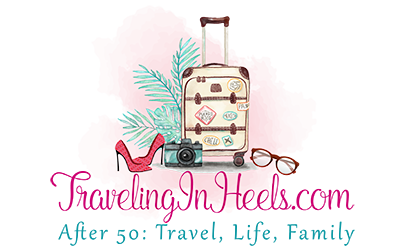 For those planning travel adventures in the New Year, you can also get cash back on hotel bookings. It can all really add up! 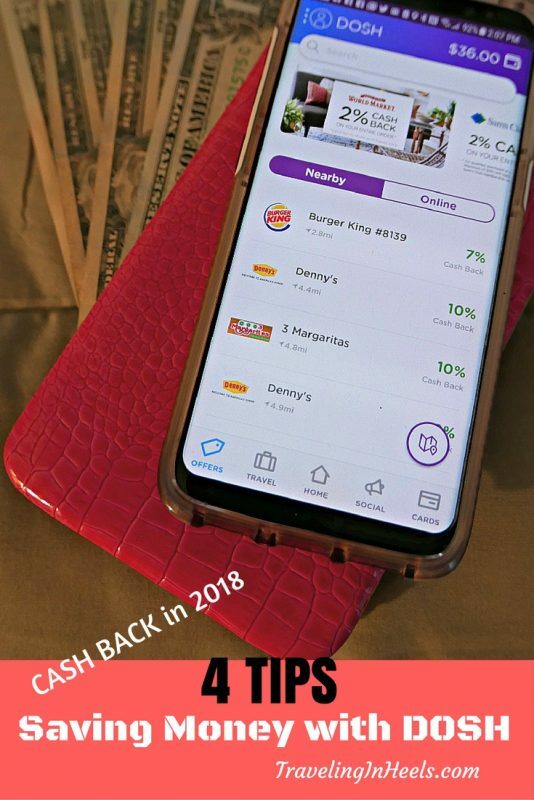 The only thing preventing from earning cash back in 2018 is simple: Download the Dosh App to get started. I know — not another app, right? But trust me, the time spent downloading and adding your personal info will be rewarded with cash back. (Download on App Store or Google Play). Read my August 2017 review on why you should download the DOSH app. 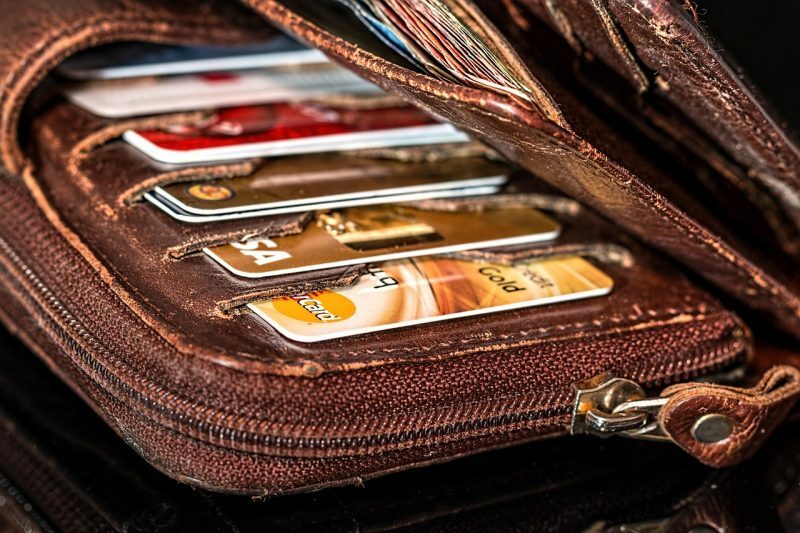 To get the most value and cash back opportunities, you’ll need to link your credit cards. Then as you make your purchases at participating merchants (online or nearby), you’ll automatically receive cash back. And actually, you’ll earn your first cash reward just by adding your credit card(s). And rest assured, Dosh’s technology has passed security tests to protect your data. Cash Back. Download the Dosh App and link your credit cards! While this may seem basic, remember to open the app often. With more than 100,000 merchants and brands nationwide, Dosh is continuously adding and refreshing its merchants both online and in nearby locations. I make a habit of opening the app before I head out to shop or dine in my local area. 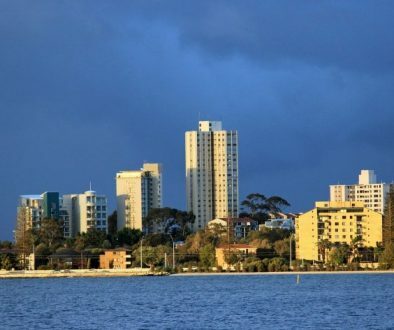 Once I arrive at the destination, I open my Dosh app and refresh it to hone in on local deals at restaurants and merchants nearby wherever I travel. For each person you refer through 12/31/17, receive $15 just for them downloading the app and linking their card. They will also give $5 to each person who then links their card. 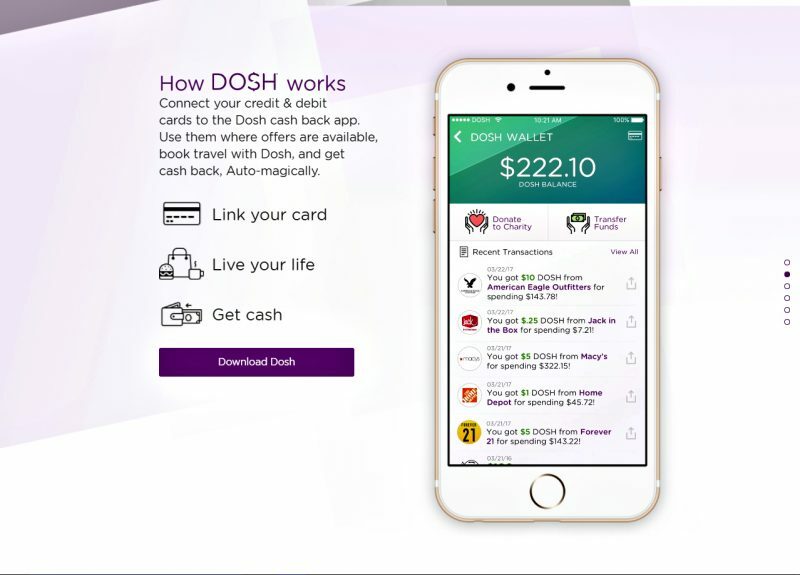 Dosh puts money back into the pockets of consumers and businesses alike using breakthrough technology to eliminate the wasted spend from advertising and most transactions. Dosh searches for cash and chases it down – relentlessly searching out offers to give cash back to users. No cutting coupons, no scanning receipts, no searching for offers. Dosh users simply spend as they normally would and watch the cash pile up. Once your Dosh wallet reaches $15, transfer that cash over to your checking, savings or PayPal account. So what are you waiting for? 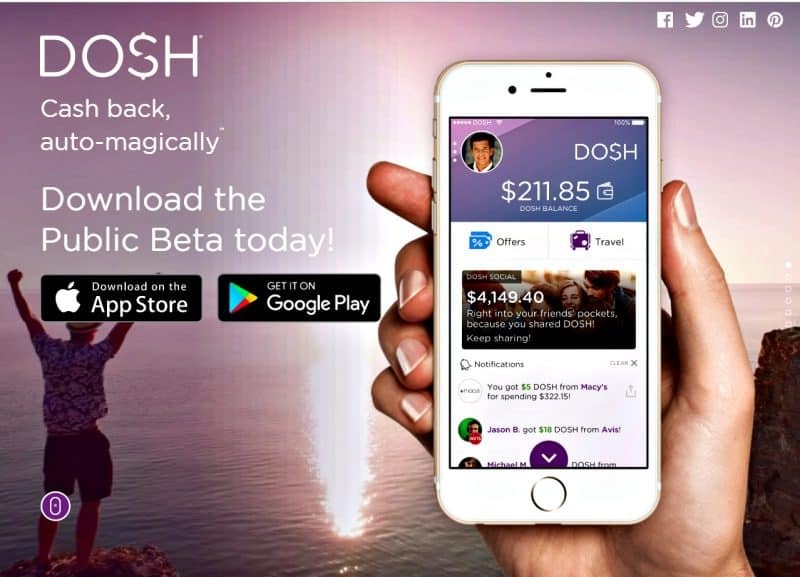 Download Dosh app today and start earning cash back.